The consumer society that emerged in Britain during the final decades of the twentieth century has proven enduring. Commerce has colonized almost every area of modern life and the things we consume have overtaken class, religion, geography, or occupation as the primary source of our self-identity and self-expression. People are immersed in and ultimately defined by what scholars describe as ‘promotional culture’. For UK’s persuasion industries – a collective term for a suite of brand communication activities including marketing, advertising, branding, and public relations – this was a period of rapid growth. Views differ in terms of whether their influence was for good or ill, but the increasingly important role the persuasion industries played in the shaping of society and culture since 1980 has been consistently identified. Nowhere did this expansion occur more profoundly than within the field of public relations. The word ‘explosive’ lends itself all too readily to hyperbole but it can be applied unreservedly to describe the sector’s rise during this period. The discipline was barely an afterthought in the 1960s and 1970s, with its activities confined largely to the public sector. In 1979 barely 20% of the Top 500 UK companies were taking PR advice. Five years later, that figure had risen to almost 70% and it continued to grow at an almost exponential rate. By the end of the century the sector was 33 times larger than it had been in 1979 and employed over 48,000 people. The Top PR 150 agencies alone accounted for fee income of well over £640 million at 2018 prices. Despite its undoubted historical importance, public relations has been hitherto poorly served. There are no general histories at all of PR in Britain during this period (an issue highlighted by the PRCA which commissioned its own short paper in an effort to address this deficit in 2011) nor has there been any sustained historical treatment of the discipline’s methods and practices. The Persuasion Industries is an attempt to fill this void. Presenting a history of public relations through developments in its application has not been without its challenges. Little of the existing commentary on either PR or the consumer society can be considered impartial. One of the most significant tests for all historians of consumption (in all forms, not just consumerism) is to engage in a serious investigation of the causes, effects and politics of public relations without making judgements and slipping into polemic. There was also the issue of an appropriate source base. In comparison to advertising, there is relatively little archival material available – PR has never been conducted through press releases – and prior to the launch of PR Week in 1986, there was no dedicated trade paper. A professional background certainly helped, and pulling together a somewhat disparate selection of sources it was possible to build a compelling picture of the sector’s development, which threw up several surprises. There was no single innovation in theory or practice to account for the sector’s rapid expansion, the salient factor was arguably the emergence of a growing awareness of PR’s strengths and how it might best be applied to establish market position and build a corporate reputation rather than merely to push a message in support of advertising. To that end, a significant development was the shift in ideological emphasis from society to the individual, which followed the election victory of Margaret Thatcher in 1979. Public relations has much to learn from its past. Today the sector wrestles with challenges presented of a disintegrating traditional news outlets and an ever-changing suite of social media. As a discipline, it remains poorly understood by non-specialists – even by those working elsewhere in the persuasion industries. Somewhat ironically, it also suffers from a public image problem. Stories about PR in the mainstream media are rarely neutral, let alone positive. These problems are nothing new. The sense of beleaguerment is a perennial theme. The industry’s rise may have been fast, but it was never easy. In the 1980s, the burgeoning demand for its services was not matched by the supply of capable consultants and practitioners. The problems this shortfall created were reputationally damaging for the sector as a whole. PR became synonymous with a lack of professionalism – a stigma that it has arguably never really managed to overcome. Another recurrent issue is that of evaluation, or rather the lack of it. Despite a number of initiatives, PR never really moved beyond the crude AVE in terms of performance measurement. Whether a campaign had been a success or a failure – and to what extent – was usually, and exclusively, a matter of the client’s opinion. 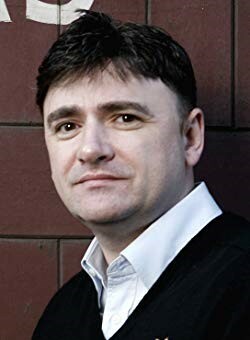 Steve McKevitt is the author of The Persuasion Industries: The Making of Modern Britain. He is Visiting Professor of Brand Communication at Leeds Business School, Leeds Beckett University, and can be contacted at the following email.